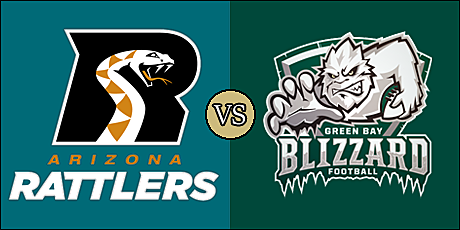 What: The Rattlers and Blizzard clash in Title Town to open the 2019 season. When: Sunday, February 24 at 1:05 p.m. pacific (3:05 p.m. central). The Rattlers open the 2019 season looking to return to the United Bowl, which they won in 2017. 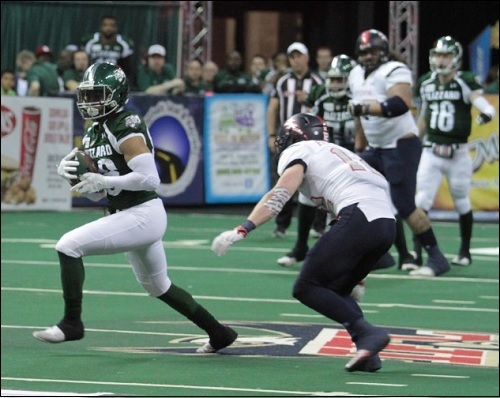 Entering their third IFL season, they have made the playoffs in each of their first two campaigns. They previously won four championships in 24 seasons in the Arena Football League. With a talented roster, they figure to be in the mix once again this season. Kevin Guy is back as the Rattlers' head coach. The Blizzard are in search of their first playoff spot since 2012. They're coming off a disappointing 2018 season in which they went 3-11. The REsch Center is located a block away from Lambeau Field, home of the Green Bay Packers of the NFL. After serving as interim head coach for the Blizzard's final nine games last season, Cory Roberson was promoted to permanent head coach following last season. The Rattlers want to return to the United Bowl after winning the IFL crown in 2017. The Blizzard are beginning a new era with an IFL legend as their face of the franchise. Kevin Guy is the key to the Rattlers success in the past 14 seasons as head coach and general manager in the Arena Football League and the IFL. Guy led his Rattlers team to the ArenaBowl in four straight seasons. The Blizzard may be in the shadow of the Nfl's Packers, but they are looking to emerge as a contender this season. Corey Roberson enters the 2019 season after having taken over for the fired Chris Williams after five games last year. He has an extensive indoor football playing and coaching year, and had previously played for the Blizzard and serving as an assistant coach. 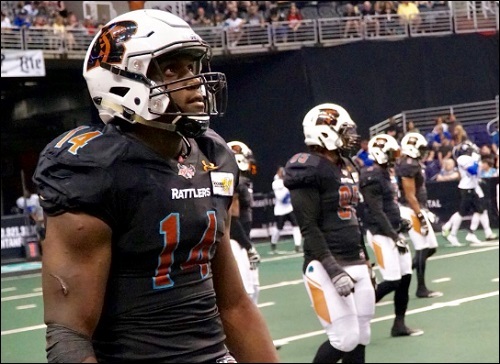 There are a trio of stellar quarterbacks in training camp for the Rattlers, including 2017 Offensive Rookie of the Year, Verlon Reed, Jr. Jeff Ziemba, who led the team after Reed's season-opening injury last season, is a capable game manager. The team also signed over the off-season former Green Bay Blizzard QB Matt Behrendt. One of the three will be waived following training camp. Darrell Monroe is a stalwart rusher, having rushed for 1,488 yards last season, and holds the league record with 11 rushing touchdowns last season. On defense, lineman Chris McCallister has 13.5 sacks and 26.5 tackles for loss over the course of the previous two season. Allen Chapman is an opportunistic defensive back, with a dozen interceptions combined in 2017 and 2018. When you talk about the Blizzard in 2019, you talk of B.J. Hill. He is already an IFL Hall of Famer and leads the league In every kick receiving category. Hill returned to the Blizzard last season after taking a few years off. He was strong, not only fulfilling his returning duties, but also his role as a defensive back. Roberson also inserted Hill into the offense as a running back. While the quarterback situation may seem unclear, the Blizzard return wide receiver Kezlow Smith, who tallied 15 catches for 256 yards and seven touchdowns last season. He led the team with 17.1 yards per catch. Imani Cross is poised to take on the rushing duties after having rushed for 1,606 yards and 28 touchdowns in four years at the University of Nebraska. Defensive back Joe Powell led Quad City with seven pass break ups, and had 49 tackles in 2018. Kickoff is in about 15 minutes or so. Could be later if they have extended pre-game activities since it's opening weekend. The Rattlers win the toss and will kick off to open the game. The Blizzard will get the ball to start the third quarter. Quite a ceremonial coin toss, even with the commish in the house. Justin Billiot starts at QB for the Blizzard. Tough interception of the bobbled pass. 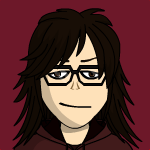 That's the kind which isn't really on Billiot. Fumble by the Rattlers. Green Bay ball. Safety Rattlers. Justin Billiot sacked in end zone. Well, that's one way to score. Illegal block in the back probably happens on just about every kickoff return. Touchdown Rattlers. Jabre Lolley 8 yard run. Jimmy Camacho kick. Lenorris Footman is in at QB for the Blizzard. Touchdown Blizzard. Kezlow Smith 15 yard pass from Lenorris Footman. Cody Barber kick. Kezlow Smith - TD rec.